Travelers is a dependable home insurance company that's adapted nicely to the evolving industry with impressive digital tools, but their claims process could use some work. Travelers is one of the larger and well-established homeowners insurance companies around, as they’ve existed for a century and a half and regularly rank among the most financially stable carriers. Travelers offers an extensive suite of property coverages for both individuals and businesses, giving you the luxury of keeping all your policies under one roof and bundling discount opportunities. Although Travelers has been around since before Abraham Lincoln was president, this company is no dinosaur, as they offer industry-leading digital tools and amenities — like an Amazon Echo Dot, which you can get with any home policy — and savings on smart home kits that ultimately help keep your rates down and better protect your stuff. 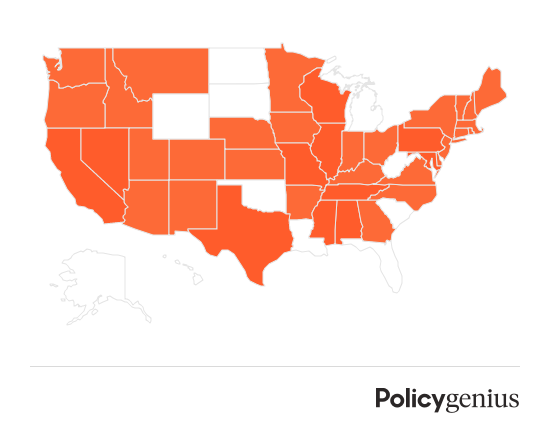 Which states is Travelers available in? Travelers homeowners insurance is available in 40 states and the District of Columbia, indicated in the map and chart below. Travelers offers four types of homeowners insurance policies that provide all of the primary coverages — dwelling, other structures, personal property, loss-of-use, personal liability, and medical payments coverage. Of the four policies, two are standard policies: one includes extended replacement cost home coverage for your home and one offers it as an option. They also offer two comprehensive policies with high primary coverage limits and extra coverages for your sewer lines, identity fraud coverage, and high sublimits for expensive valuables. The cost of homeowners insurance varies considerably from state to state, but Travelers rates are among the most competitive in the industry, as they’ll write a policy for almost any type of home and pricepoint. Below is a sample policy for a 18-year-old, 4,000-square-foot, single-family home with extended replacement coverage for the home and replacement cost coverage for personal property. As we highlighted in the last section, all Travelers policies except the base HO-3 policy offer extended replacement cost coverage for your home, meaning your home is insured for an additional 25%, 50%, or 100% of its replacement cost in the event that rebuild costs go up. 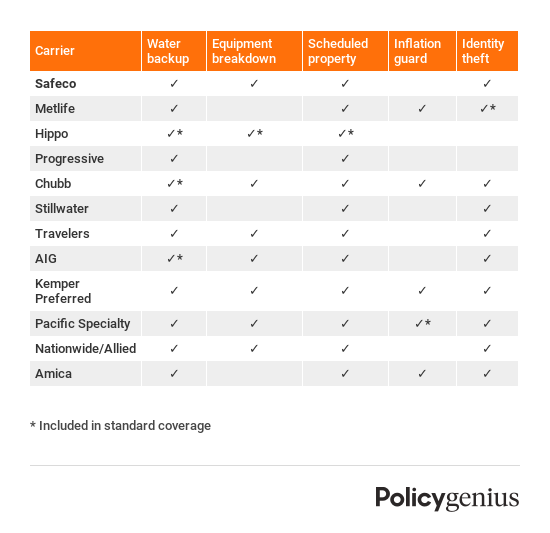 The higher-tiered Travelers policies also include water backup, personal injury, and identity fraud protection in your base coverage. Travelers also offers green home coverage, which will repair, replace, or rebuild your home with designated “green” materials after a covered loss. There’s a few different ways you can apply for homeowners insurance with Travelers. You can apply through the company website, over the phone, or even on Amazon in certain states. The application process is fairly simple to navigate – you type in your ZIP, fill out basic information about yourself and your home (about five pages), indicate if you’d like to bundle with an auto policy, and Travelers sends you a quote almost immediately. The entire process takes about five minutes. From there, Travelers will provide you a number to call to discuss your quote and make your purchase. Submitting claims with Travelers is about as easy as it gets. One of the primary navigation tabs on the company website leads you to their “claim center” where Travelers provides detailed information, steps, and comprehensive educational resources about how their claims process works. Travelers allows you to file and track your claim as well as contact emergency claims services all through their website or mobile app. From the looks of it, Travelers has this part down. The user experience is great, but where Travelers falls down a few notches is in claims satisfaction. Much has been discussed about Travelers dropping customers for filing claims. Travelers also has a subpar customer satisfaction score with J.D. Power which raises a few red flags, as the single biggest indicator of home insurance customer satisfaction is the claims process. Travelers offers several types of property insurance. If you’re looking to buy home insurance with Travelers and you have other property that needs coverage, consider bundling insurances.